Clean Start was created by the skin health experts at Dermalogica, the brand that’s been changing the face of skin care for more than 25 years. We invite you to explore this site to learn more about your skin, and how Clean Start can help you build a better relationship with your skin for a healthy future. As the first skin care system aimed at helping teens cut through the hype to get their healthiest skin ever, you may be surprised to find Clean Start is rooted in skin health legacy! Clean Start was created by the skin health experts at Dermalogica, the brand that’s been changing the face of skin care for more than 25 years. It became clear that no one was addressing the needs of teens – not only with products that get results, but also with the education they need – when Dermalogica Founder Jane Wurwand’s own daughters entered their teenage years. And so we began to develop Clean Start, but not without knowing that we needed real skin care situations from the teens we were trying to help! Instead of creating a focus group (too formal, and quite simply, not fun), we invited a council of young adults to work with us on the naming of the products, the labeling, packaging copy, and what worked – and what didn’t. The result is Clean Start, a system of eight dual-action, fun, fresh, skin-healthy products that feel and smell great without being full of stuff that’s bad for skin – such as artificial fragrances, colors, mineral oil, and S.D. alcohol. Another thing you might like: we don’t test on animals. 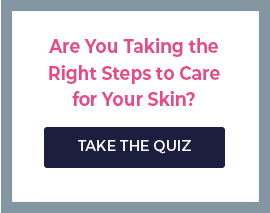 We invite you to explore this site to learn more about your skin, and how Clean Start can help you build a better relationship with your skin for a healthy future.